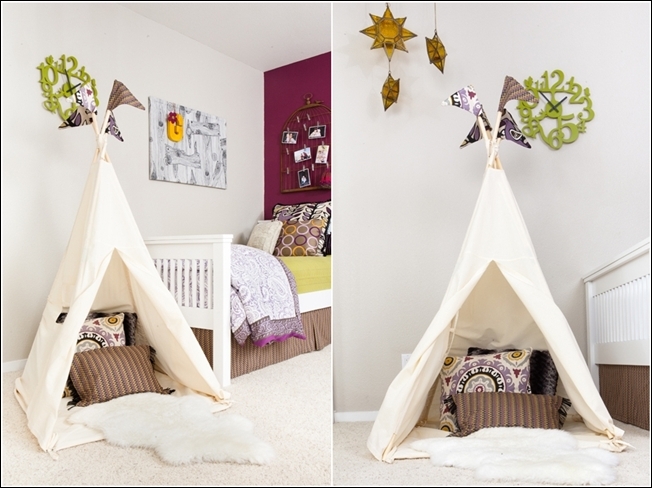 Decorate Your Child's Room or Playroom with a Teepee! 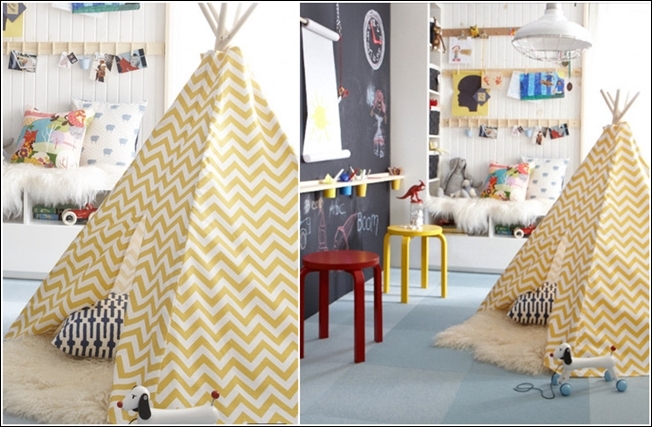 Decorate Your Child’s Room or Playroom with a Teepee! This room is specially designed for a girls’ sleepover and looks absolutely whimsical as if it is from a fairyland. 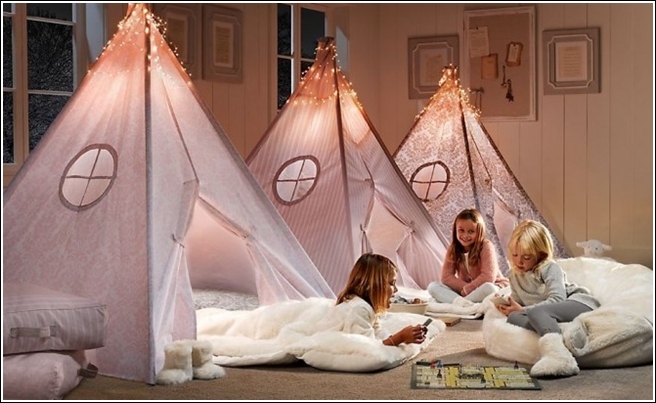 You can also design one like this by placing pink teepees in a row and then adding some lights at their top. 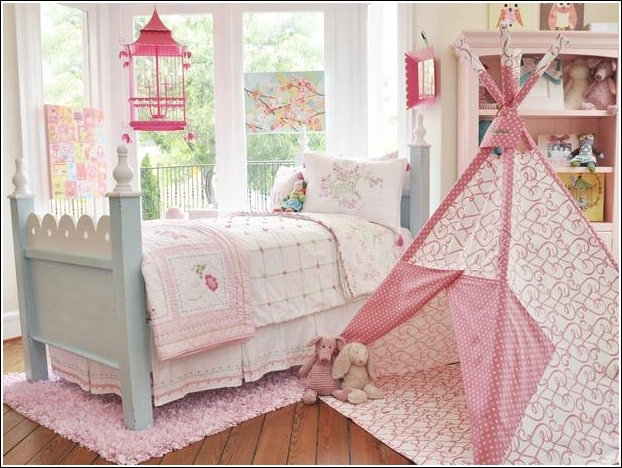 This room is also a heaven for little girls that is having pastel hues and a teepee that is in two prints of pink and white. 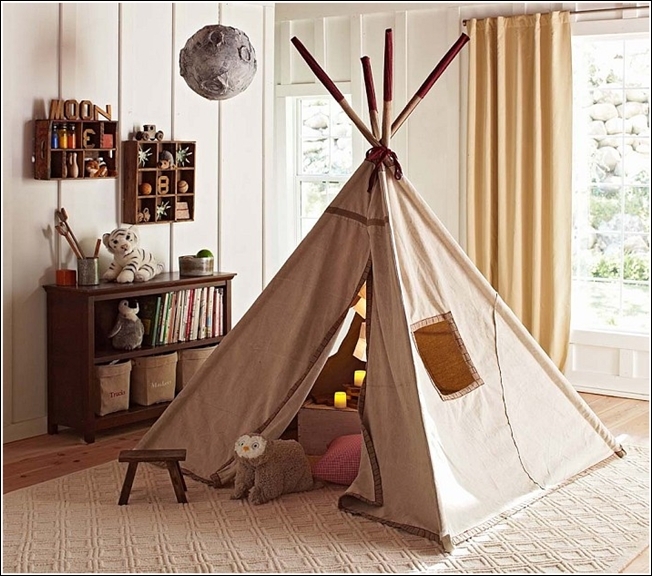 So your little princess can either spend time in her teepee or on her bed whatever she wants. 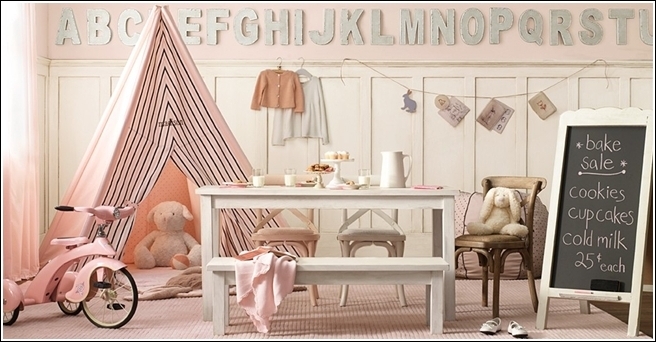 This is one is a playroom for a little doll that is designed in pastel pink and white hues. It is added a cute pink teepee at one side that is having black stripes at the front. This room is given a camping look by adding a teepee that is placed under hanging stars and is having flags on top. 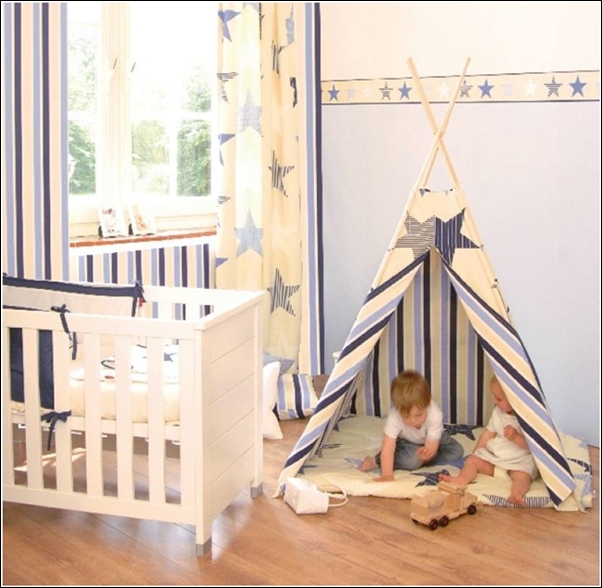 This one is a nursery that is having a teepee and your baby boy will simply adore to spend time in this teepee while playing with his favourite toys. 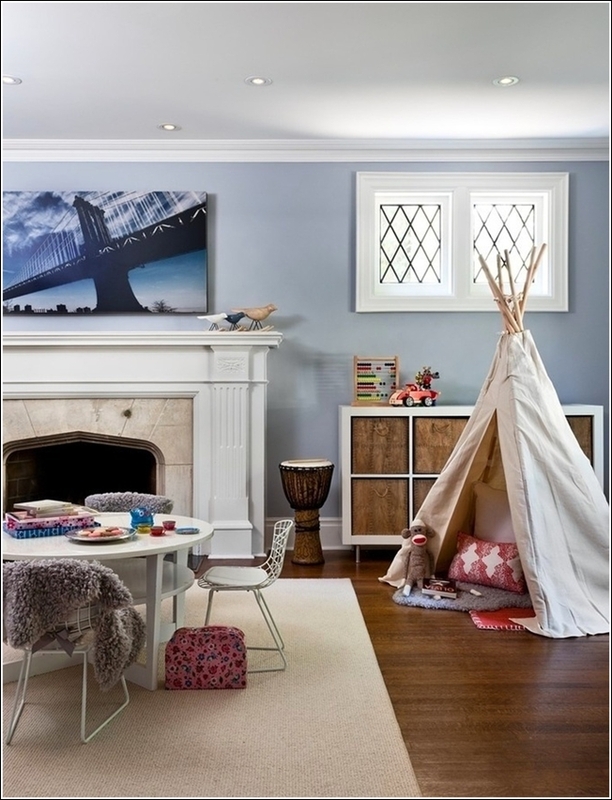 This one is a typical boys’ playroom that is added an American style teepee and is looking as a great addition to this room.